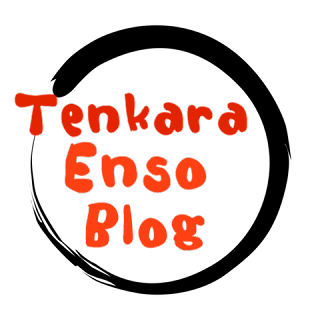 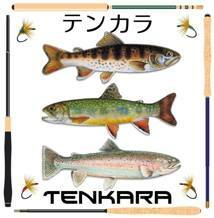 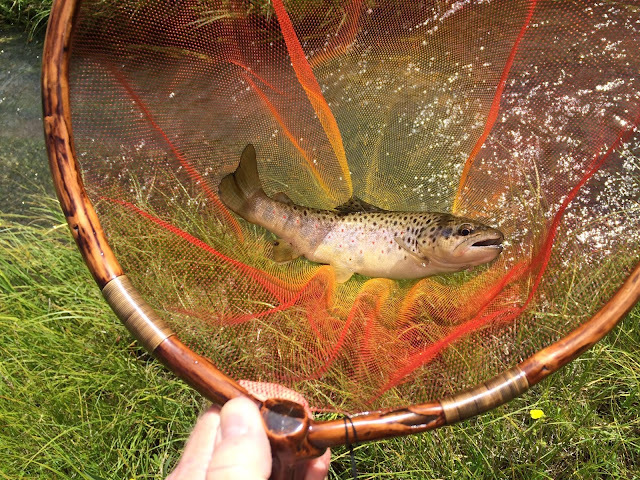 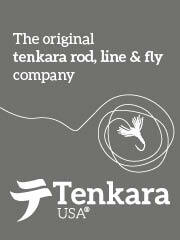 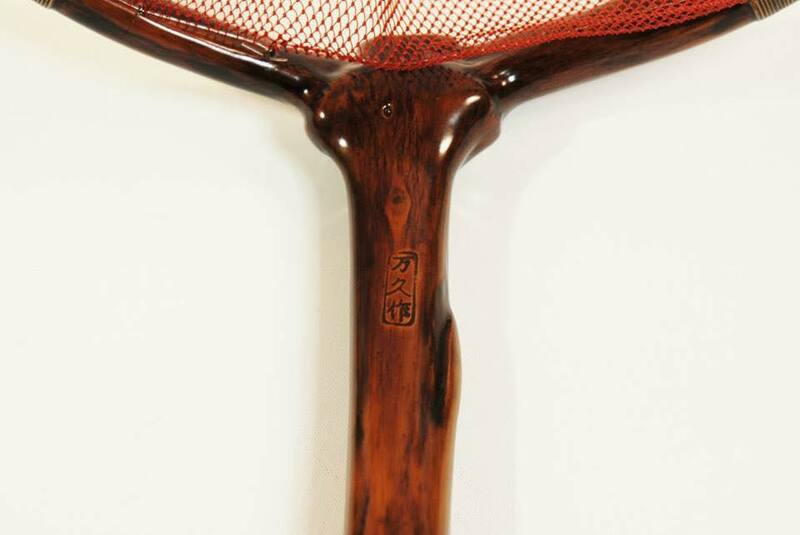 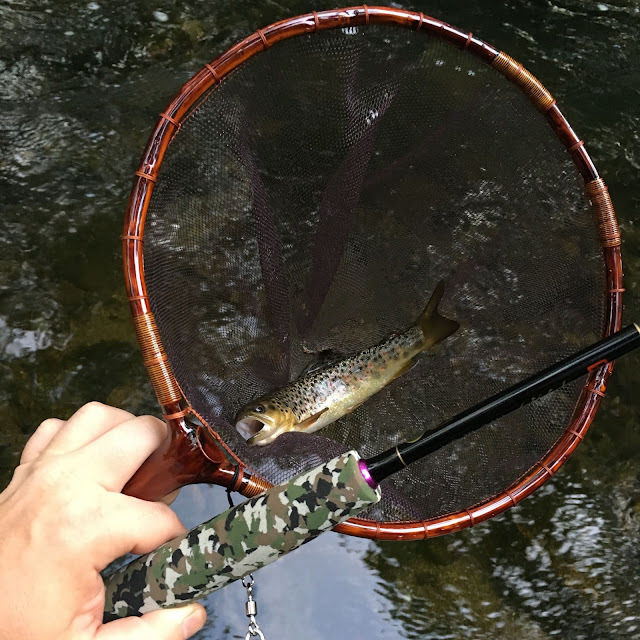 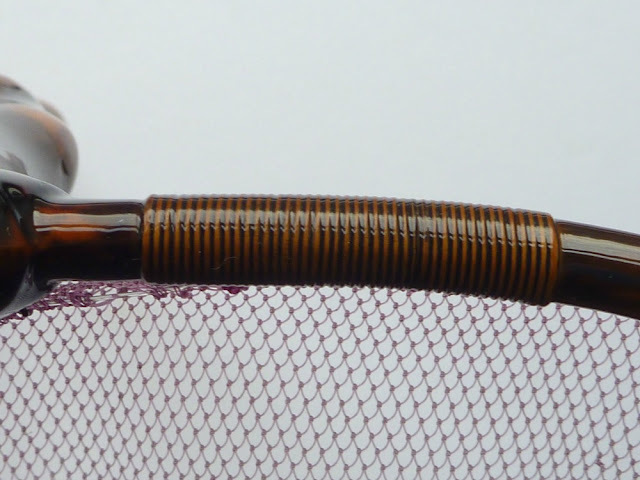 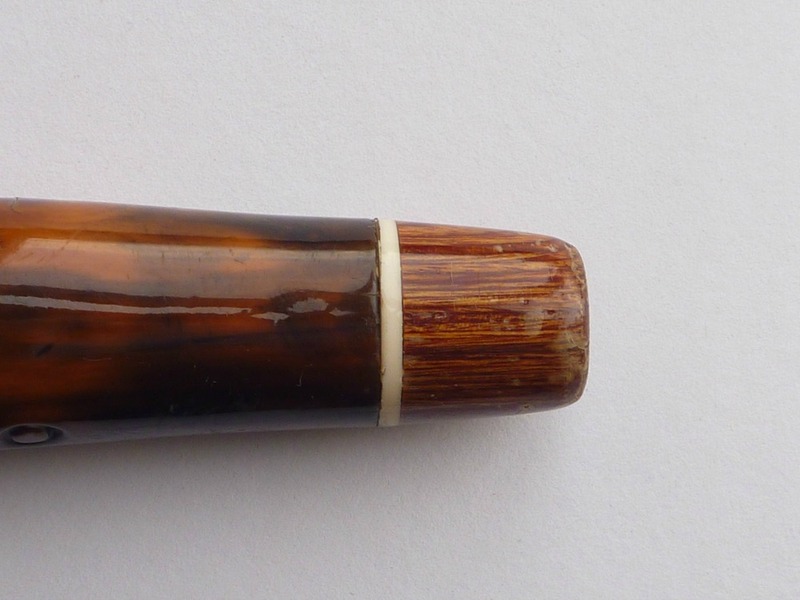 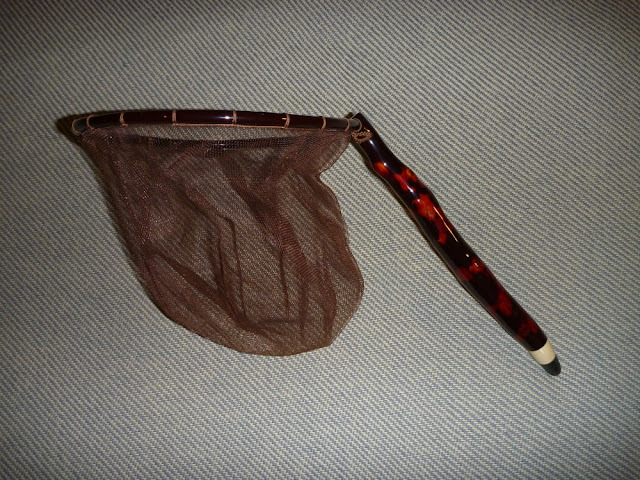 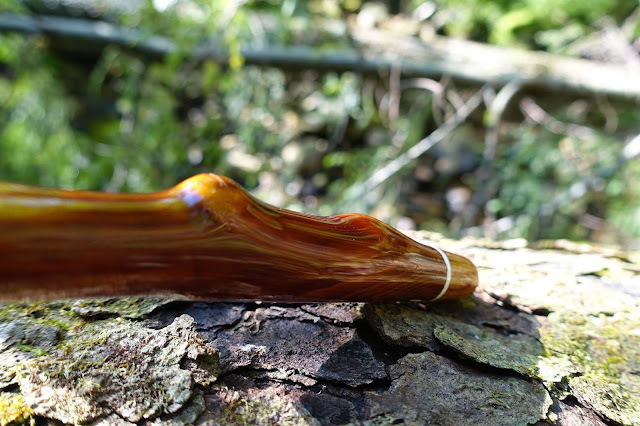 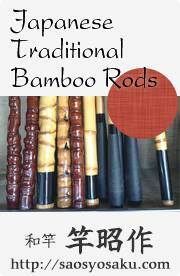 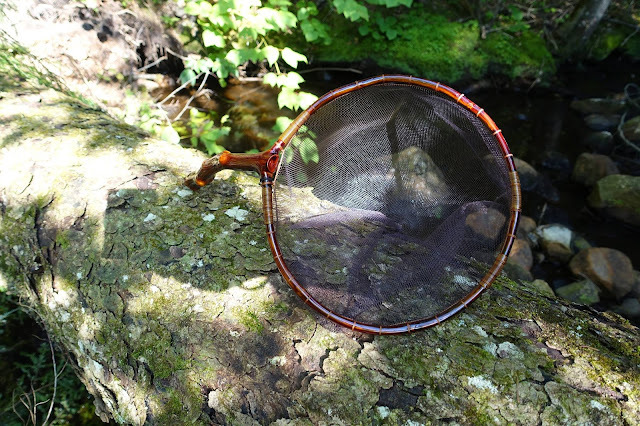 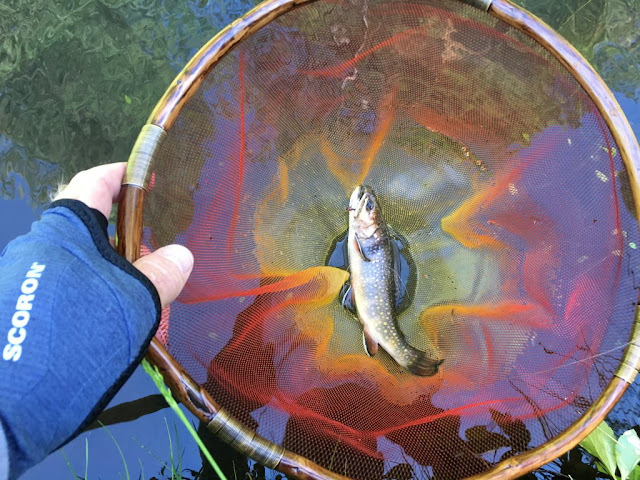 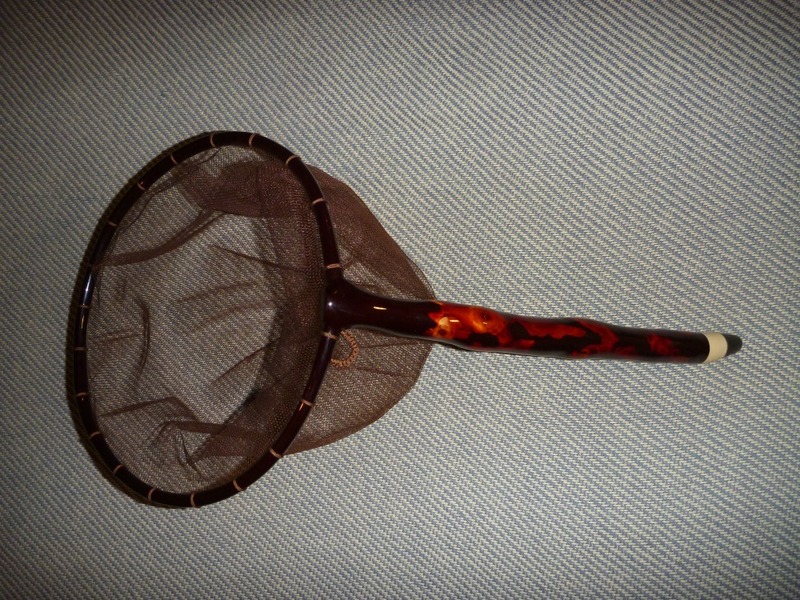 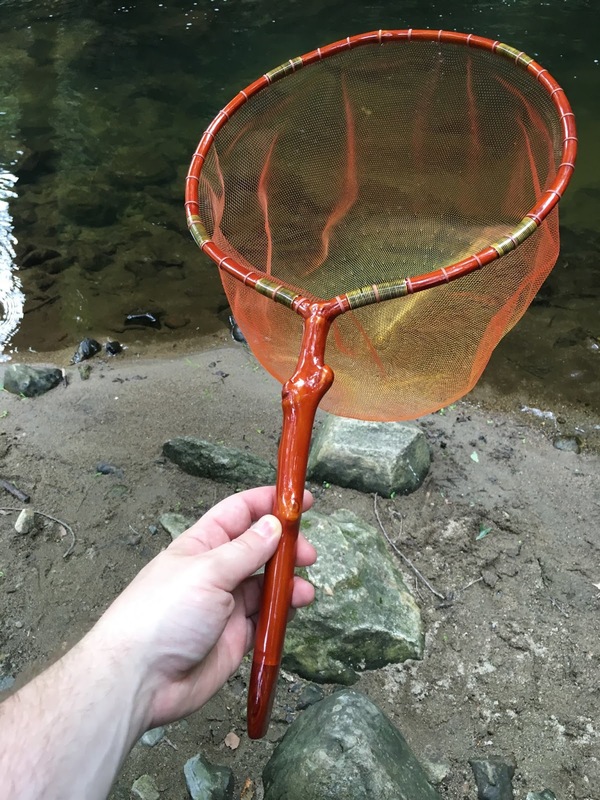 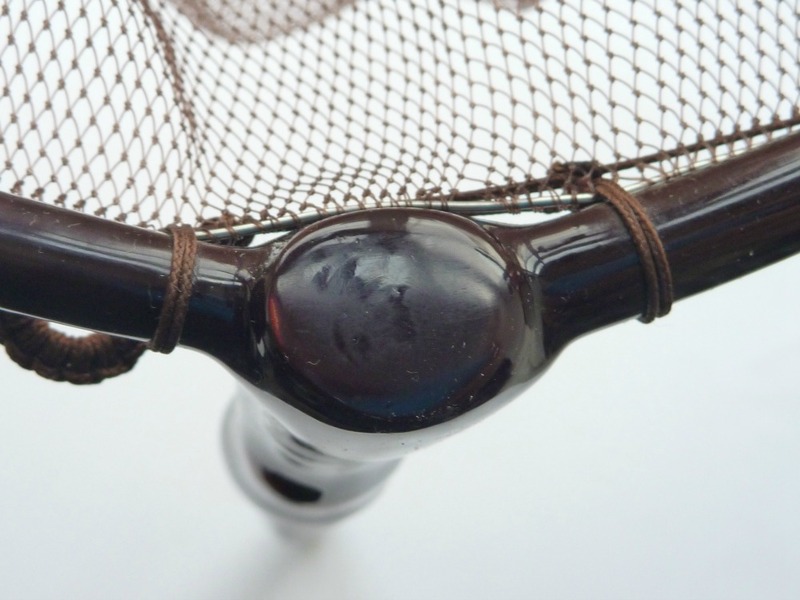 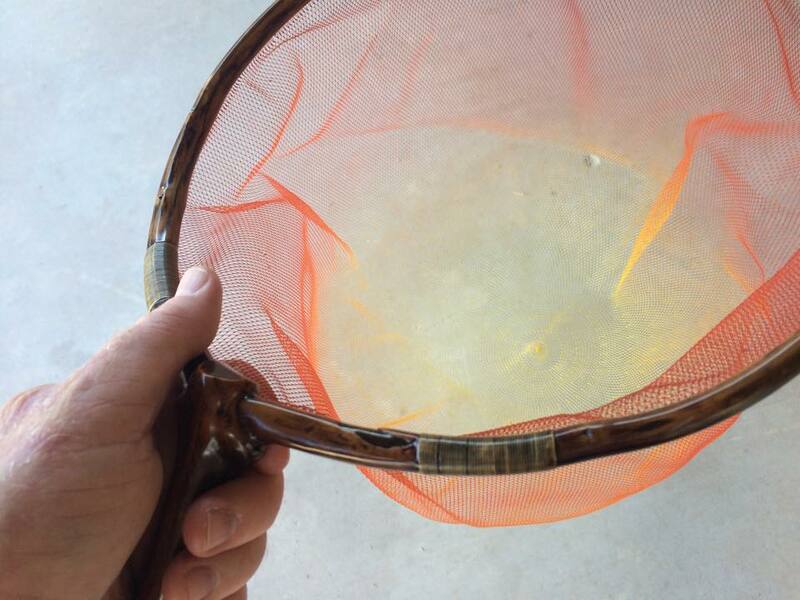 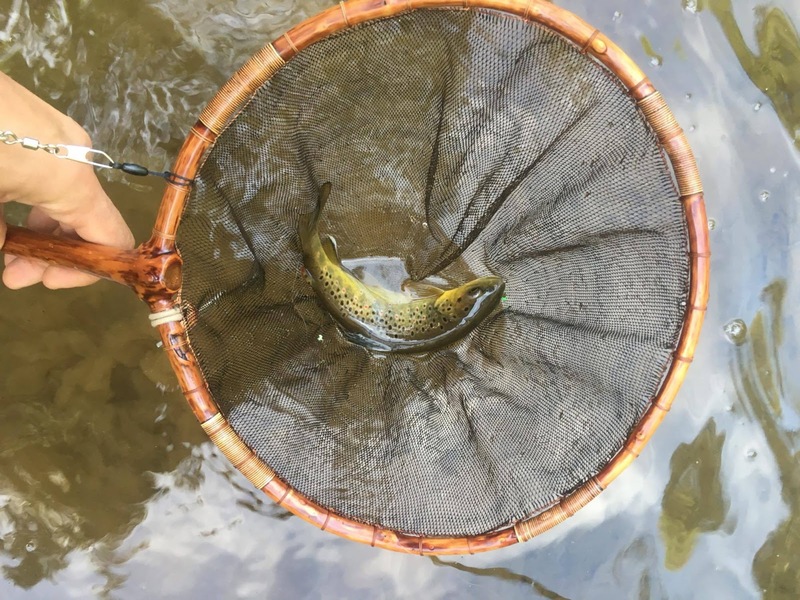 The following pictures are of the Tamo of a few Tenkara fishers in America. 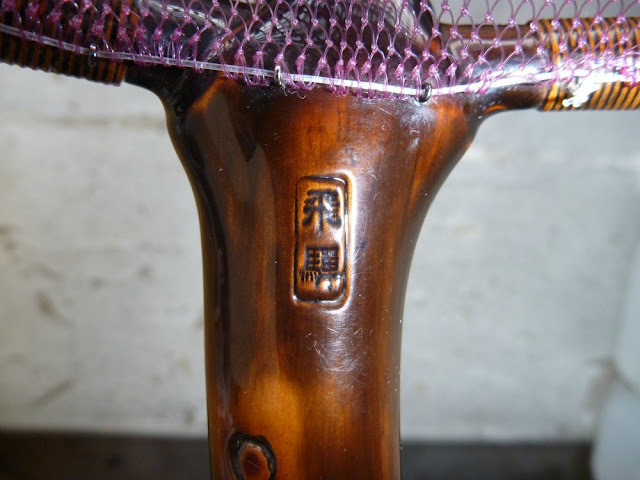 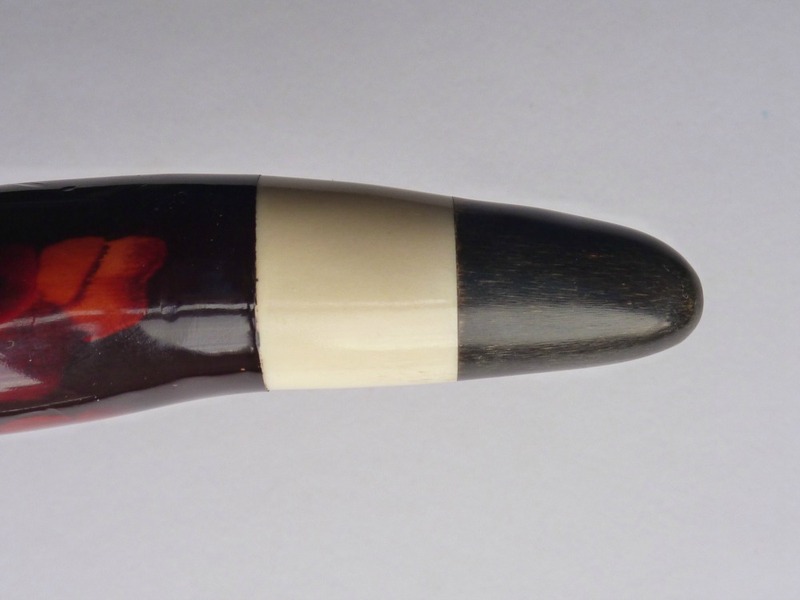 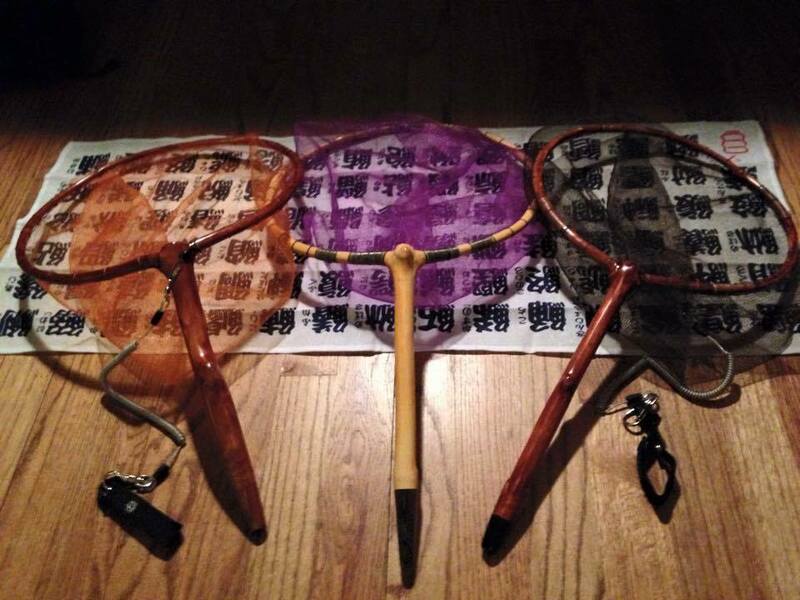 These Tamo are made in Japan and are truly works of art. 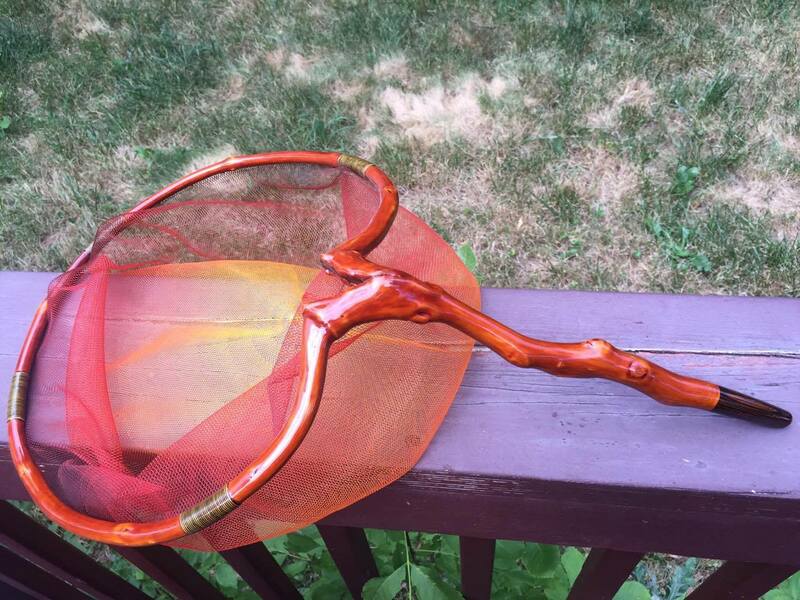 Made of various tree limbs, the hoop is actually a splice of two limbs. 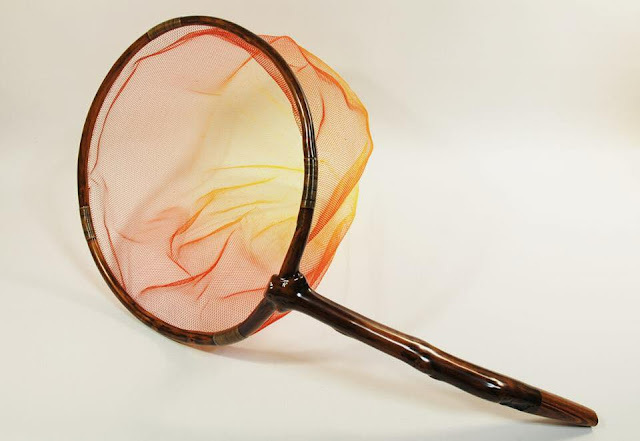 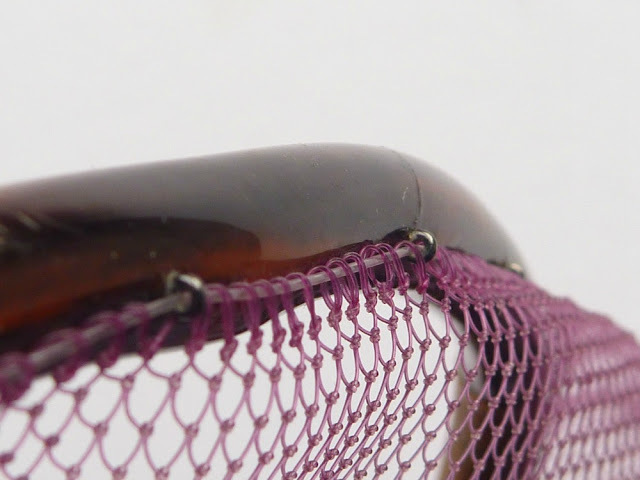 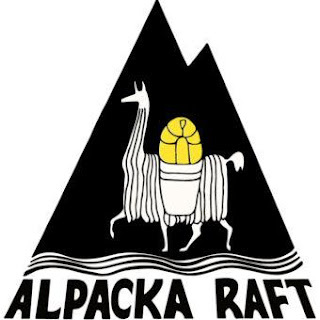 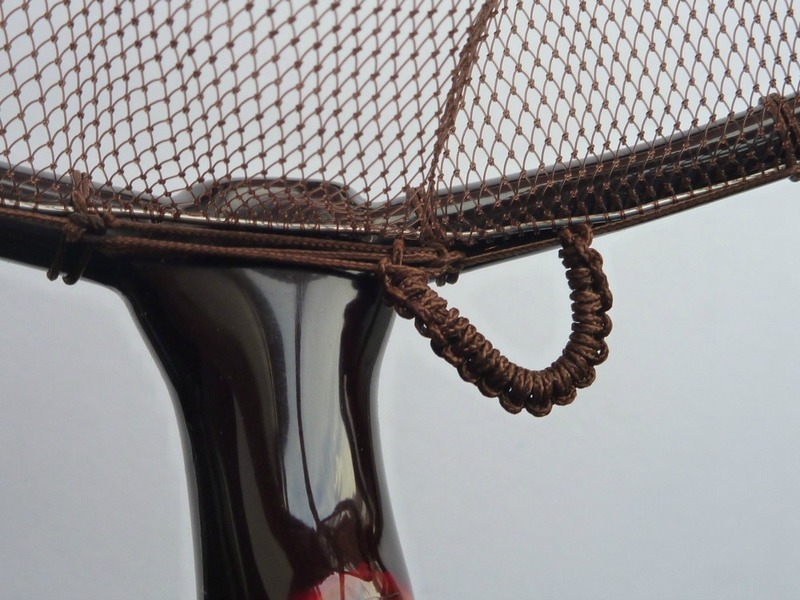 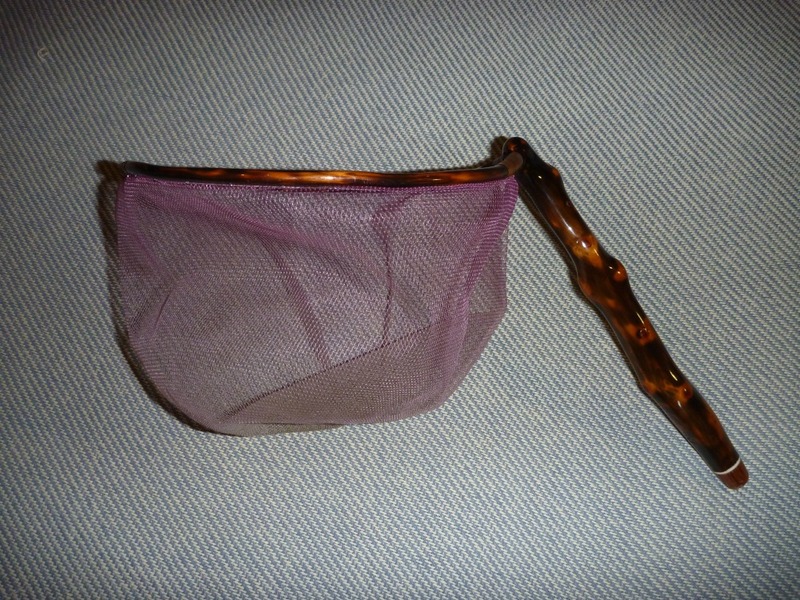 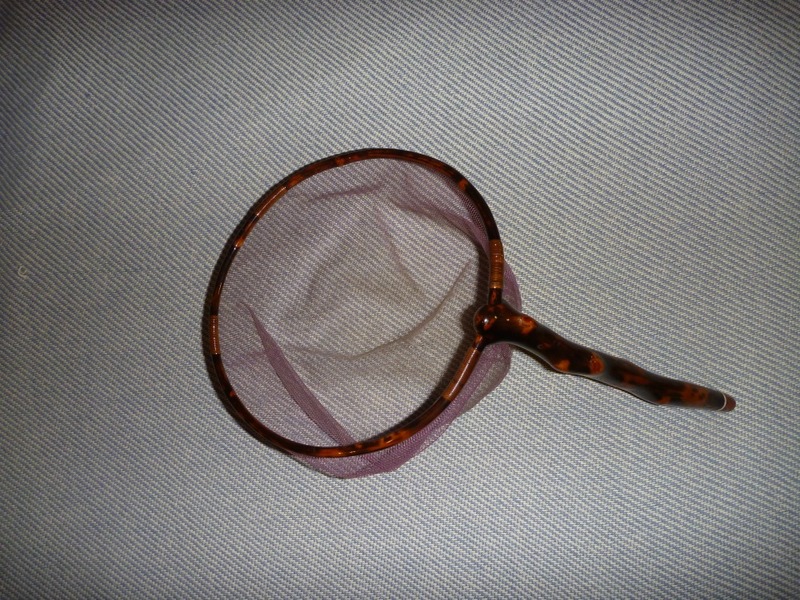 The net bags are soft and are attached with two methods, eyed pins that the circumference top of the net is threaded a length of nylon through the pins and net. 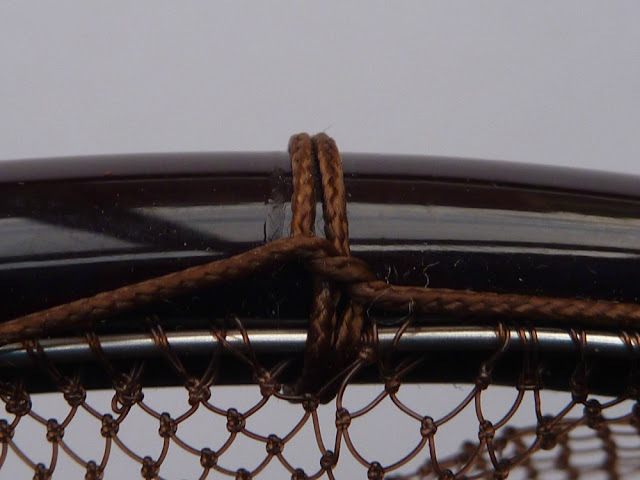 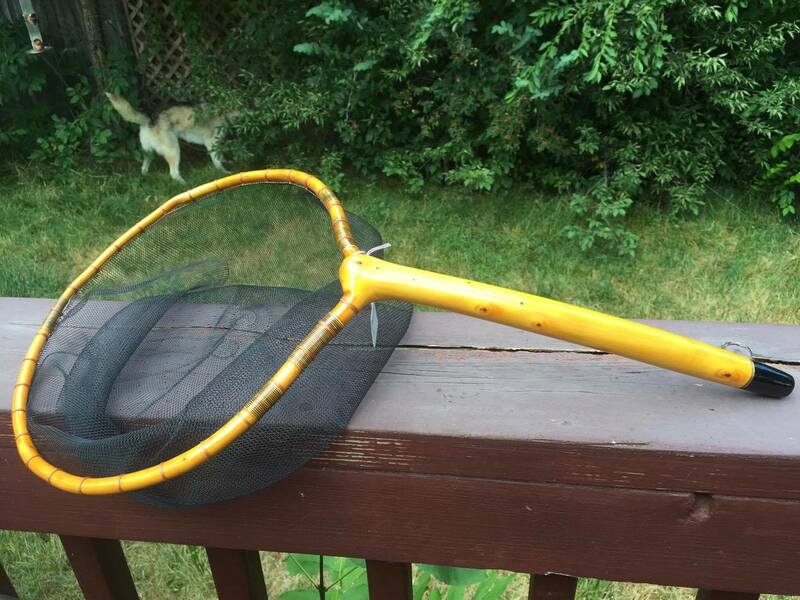 The other method is to lash the net to the hoop.